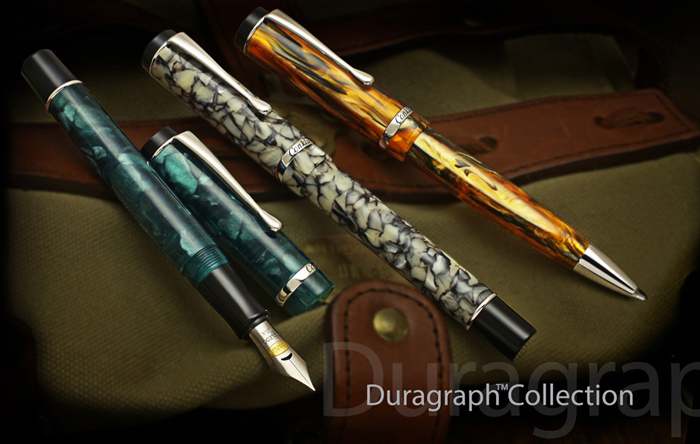 In 1923, the Duragraph model was launched, shortly afterward was considered to be 'the definitive' pen. The model was named by combining the words, durable and graph - Duragraph. Created to last as an heirloom to serve many generations, the Duragraph is offered with a lifetime guarantee. The new Duragraph collection brings a fresh, modern style to this timeless oversize flat top design. Crafted from quality hand made resins, the Duragraph is substantial in size, yet not so large to be unwieldy in the hand. 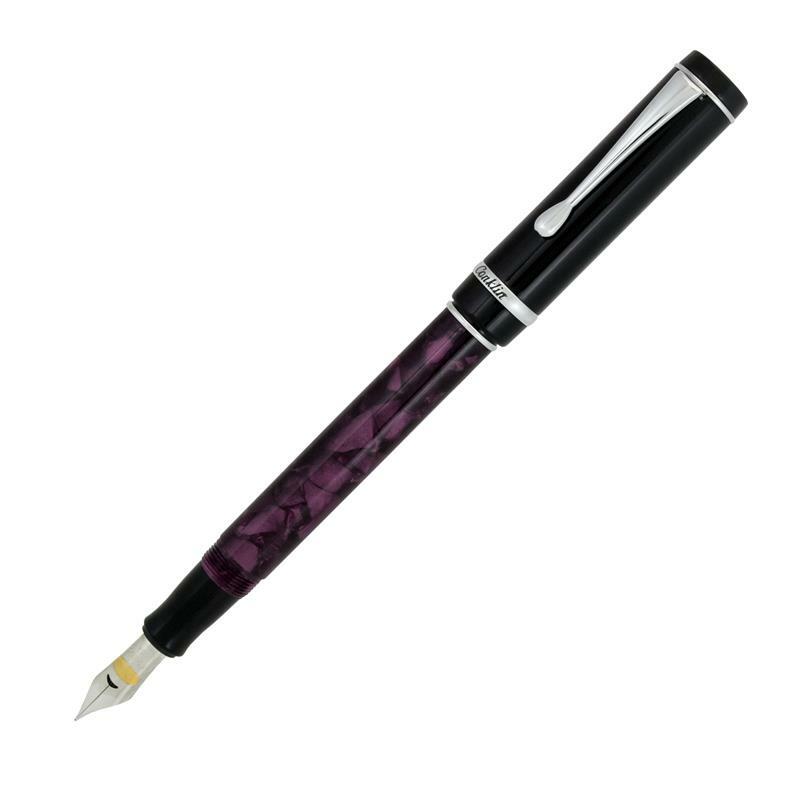 The cap top is embellished with the Conklin Est. 1898 logo and the cap band is engraved with the famous Duragraph model script font with three Conklin® Crescent logos on either side of the model name.